PHILADELPHIA — There are at least 15,000 members of the media in Philadelphia right now, along with virtually every progressive movement leader and Democratic elected official in the country. 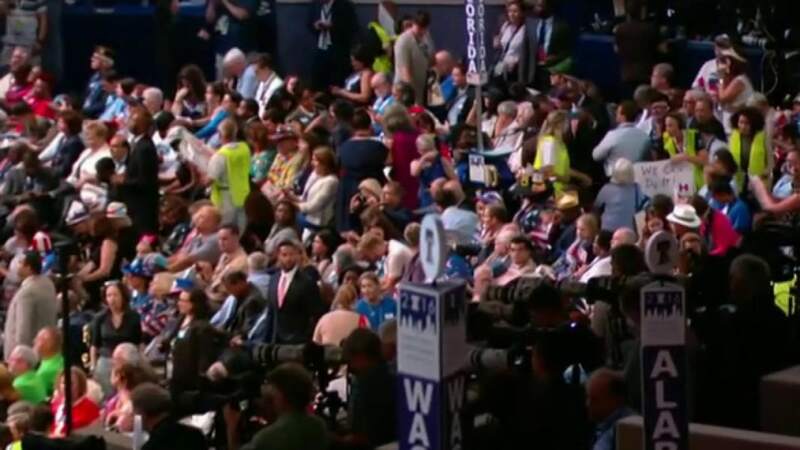 The walkout, which came as Sanders personally moved to nominate Hillary Clinton by acclimation, left hundreds of seats on the convention floor empty. 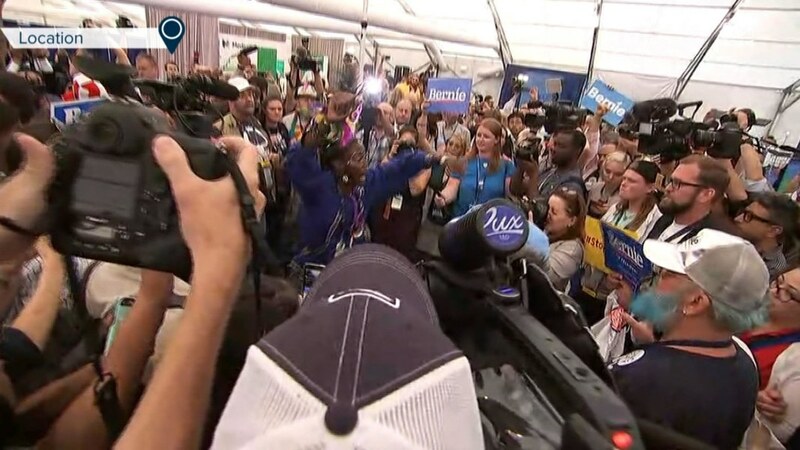 It came after protests from Sanders delegates seemed to be fizzling out, thanks to personal pleas from Sanders and Elizabeth Warren, among others. That surprise was by design, but also a product of the fact that the walkout came together in only the final minutes, according to interviews with more than a dozen organizers. Word spread through various delegations by word of mouth and text message like a wave during the roll call vote of the states. "We had to set up the element of surprise," said Mike Grom, an Ohio delegate. Indeed, most of those who walked out refused to discuss details of it's planning. 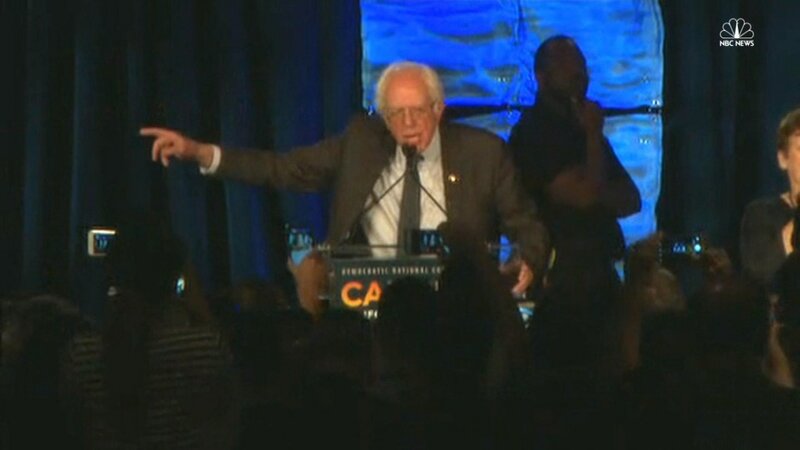 Paranoid about being discovered, walkout organizers kept more prominent groups at bay, like the Bernie Delegates Network, which has been holding press conferences every day on potential protests by delegates. “We tried to keep it very hush hush,” said an Ohio delegate named Puja, who refused to give her last name. “I didn’t know it would happen when the roll call voting began,” said Dennis Slotnick, an Ohio delegate who was one of several dozen that quietly occupied the press tent just outside the arena. In the days leading up the roll call vote, delegates discussed various ideas in the secret groups. Some suggested more confrontational tactics, like the ones used at the Nevada Democratic state convention. But those were rejected. “It was a bit of throwing spaghetti at the wall and seeing what sticks,” said Washington Richard May, one of the organizers, who said more actions may come. The good news for Democrats is that they likely have never heard of anyone involved in the walkout. There were zero prominent union leaders, elected officials and activists. The man negotiating with police on behalf of the group, Jeffrey Eide, and the closest thing the delegates had to a leader, runs a bicycle advocacy group in Fargo, North Dakota. The bad news for Democrats is that they likely have never heard of anyone involved in the walkout. There is no one for party leaders to work with, since the group is so decentralized, and even Sanders clearly couldn’t stop them. “This has nothing to do with Bernie, this is our revolution,” said Victor Caula, a delegate from Iowa. They sat silently because they said they felt unheard by the party, which many said they could never trust. They said the primary was rigged, pointing to the internal DNC emails leaked to Wikileaks, apparently by hackers tied to the Russian government. Delegates likely over-represent the most die-hard activists, given the time, effort and money required to be one. They will likely never again have the leverage they did Tuesday, thanks to those 15,000 members of the media. But they do seem represent a wing of the party that Sanders helped bring in the donors, and that aren’t interested in staying in their seats, no matter what even Sanders says.